Due to tariff-related manufacturing price increases, almost all of our Rikon Power Tools will soon be significantly increasing in price. For a limited time we will not be raising prices on our line of Rikon Power Tools, so act now and update your workshop at cheap prices while they last! Act Now - Limited Sale Quantity! From the editors of America's leading woodworking magazine, these classic woodworking references are available in a six-book set with slipcase and offered at a huge discount off the list price. The New Best of Fine Woodworking - Volume 2 is a six book-set containing articles collected from Fine Woodworking magazine and offering a wealth of material from top woodworking authorities. Here in Atlanta, there is a great makerspace called Freeside Atlanta where David Alvarez teaches a basic woodworking class. 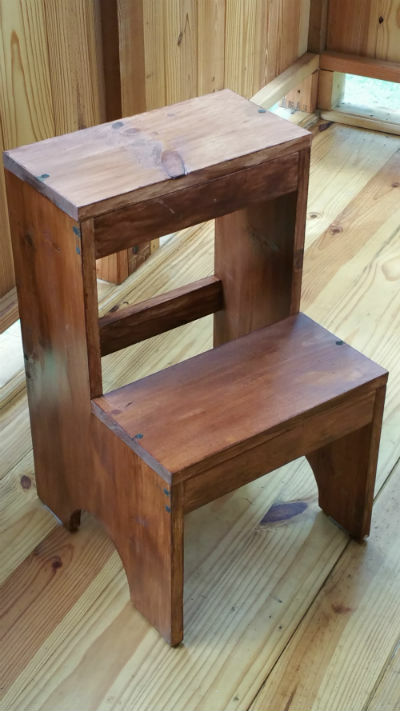 He is sharing his step stool project with a step-by-step tutorial on how to make your own. 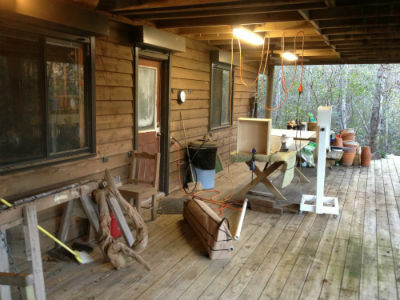 In this seminar, master canoe and kayak builder Carley Abner, will share his building insights, including pitfalls to avoid along the way, so you can more confidently begin (and finish successfully) your first strip canoe project. You'll get a stem to stern overview of the complete build processSo bring pen, paper, camera phone (and) a brown bag lunch) so you can capture the wealth of information Carley will share for helping you jump-start building (and paddling) a canoe you can truly call your own! We're sharing Jim Randolph's unique "garage" workshop in Long Beach, MS. You may recognize Jim and his shop from the monthly polls and Tips from Sticks in the Mud columns he writes for Wood News. 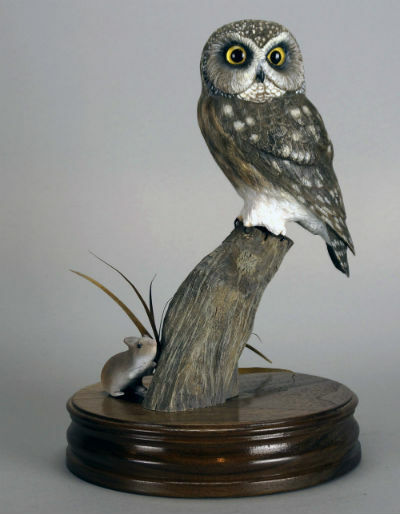 We've got a variety of woodcarving and woodworking projects made by Ken Vickets from Canada. We're looking for more Show Us Your Woodworking submissions. Submit pictures of your own woodworking to woodnews@highlandwoodworking.com. 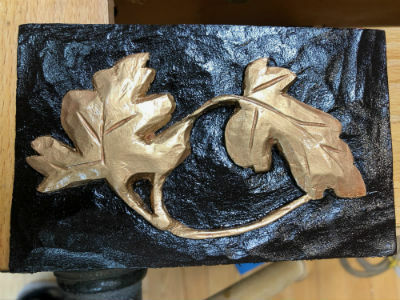 We're featuring several wood carving projects made by Gary Assarian who just recently began carving and who we last featured in our July 2017 issue of Wood News Online. In this month's column, Steve discusses the longlasting power of Festool batteries, a story of murder by a circular saw, and the timely comeback of lumber yards. Alan discusses his popular finishing classes and workshops he teaches here at Highland Woodworking. Jim shares a few examples of floating shelves he has recently built using dominos. Let’s face it: Almost no one is giving away free tools, free wood and free fasteners. 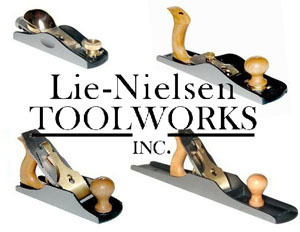 You need money to feed your woodworking obsession. This month's poll asks "How do you finance your woodworking?" From the Founder and Editor of Mortise & Tenon Magazine, Joshua A. Klein, comes the documentation of Jonathan Fisher's life as an early 19th century woodworker. Little similar material exists elsewhere, making this book a valuable contribution to the history of woodworking. Festool is known for their power tools but they have recently introduced 2 great jobsite tools including the Festool SysRock Jobsite Radio and the Festool SysLite LED Worklamp, two rugged and durable accessories that would be great additions to any shop. Justin Moon takes a closer look at the Narex Hand Stitched Cabinet Rasps and Rifflers. These indispensable stock removal tools will make your woodworking preparation more efficient and precise. Check out other product tour demos and videos on our YouTube Channel. Last month, we announced Greg Williams as the winner of our Tormek T-8 Sharpening System Giveaway Contest. In this blog, Greg discusses his new tool and how it is fitting into his shop. We just started carrying this Acer-Ferrous Toolworks Moxon Vise Kit and at $99.99 it is a steal for the benefits of a Moxon Vise on your workbench. Moxon-style vises are especially useful for raising a workpiece to a comfortable height above your workbench to help facilitate precision sawing of joinery. Projects look fully finished with the corners softened. Sharp corners are an invitation to chipped edges for the project and painful encounters when you bump into a piece. 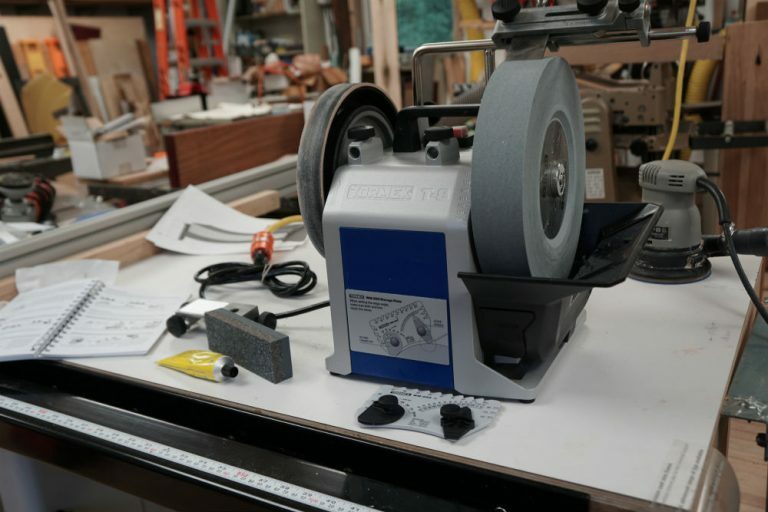 With this latest Woodpeckers OneTime Tool you can forget your jig saw and belt sander routine and accurately create clean, precise radiused corners in seconds using your router table. Just featured in the August 2018 issue of Popular Woodworking Magazine, this wood carving set includes the Morakniv 120 Straight Carving knife and the Morakniv 164 Hook Knife. These two Swedish knives will let you begin carving wooden spoons, small bowls, shallow surface carvings and other general whittling and carving pursuits. Explore the universe of #HighlandClamps in our brand new Early Fall 2018 tool catalog. You can click on any product number in our online flip catalog to go straight to our web page for that item. Save on a New Workbench!